It is a new game to deal with the attorney, state and local assessors, the other heirs, and all the laws involved in administering an estate. Unlike Monopoly, the inheritance tax is now an important consideration. The inheritance tax is one of the taxes that may be due based on the value of the property that the decedent (the person who died), has left to his/her heirs (the persons receiving the property). The inheritance tax is a state tax and is separate from the federal estate tax. The inheritance tax is calculated by the values left to individual heirs, while the federal estate tax is calculated based on the total value of the estate. Some states will have a state estate tax, also calculated on the total value of the estate before distribution. Note: An oddity of the law had the federal estate tax disappearing completely just for 2010, and then coming back in 2011 and future years. Most states do not even have an inheritance tax. Other states do not have an inheritance tax, but impose an estate tax that is usually based on the federal estate tax calculations. There are 23 total states that have an estate tax (in addition to the Federal estate tax) or inheritance tax in 2011 and less than than12 of those states have a true inheritance tax. An heir might pay inheritance taxes on a specific inheritance, such as an inherited pension or IRA, and also pay income taxes on it. Further, the estate itself may owe income taxes on any income earned from the date of death to the date of final distribution of all property to the heirs. The first step in calculating the inheritance tax is to list and value everything that the decedent owned. In general, this is the selling value that the property had on the date of death, or an alternate valuation date. Various methods might be used; the preferred method is to get an appraisal of the property by an expert such as a real estate appraiser, a stockbroker, a thrift store owner or auctioneer, an art dealer, or a car dealer. For state inheritance tax purposes, it is important to designate whether the property was located inside or outside of the decedent's resident state. In Indiana, for example, real property located outside of Indiana is not subject to Indiana inheritance taxes. Even jointly owned property, like bank accounts, houses, and cars, are inventoried for the inheritance tax return. State law will determine the taxable amount of these items. Life insurance, pensions, IRA accounts, retirement accounts, funeral policies, refunds, and all investments are listed for the inheritance tax inventory. 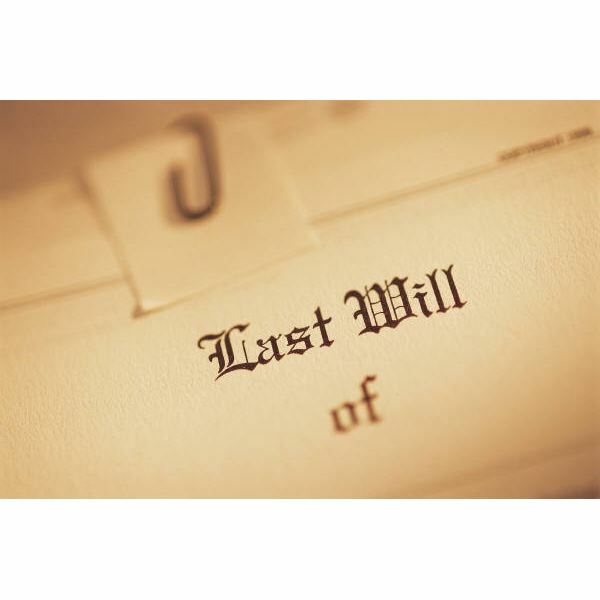 If an heir has been left a life estate (they do not get ownership, but they get the right to use a property until they die), a formula will be applied to value it for inheritance tax purposes. Each state differs in whether these items are subject to inheritance tax, but nonetheless they are included on the inventory. After the inheritance tax inventory is completed, then all of the final debts and expenses of the estate are paid and listed. Each state law varies, but in general all of the final debts and the costs of putting the estate in order are deductible. This includes items such as attorney, accountant, and executor fees, maintenance on properties, mortgages, final medical bills, and other debts. It may include funeral expenses and related expenses. The expenses are distributed among the heirs according to either the will, trust, or state law. They might be divided proportionately or specific expenses might be deducted from specific pieces of property or attributed to individual heirs. Once the inventory is valued and the expenses distributed, each heir’s taxable amount is now determined by state law. For example, in many states, life insurance proceeds are not subject to the inheritance tax, so they will be subtracted out. Next, the amount that is exempt from inheritance tax is subtracted. The relationship to the decedent will determine the exemption and the inheritance tax rate. In Indiana, the first $100,000 of property is exempt from inheritance taxes if you are a son of the decedent. Then the tax rates start at 1% for property received above $100,000. A friend gets a $100 exemption and the inheritance tax rates jump start at 10%. A spouse has an unlimited exemption and no inheritance tax. The attorney or accountant of the estate will now complete the inheritance tax return, calculate the tax owing and pay the inheritance tax from the funds available in the estate. Complications can arise when there is not enough cash to pay the inheritance tax. Sometimes one heir has been left only property – such as the family home – as his share of the inheritance, while all of the other heirs were given investments that are easily converted to cash. In this case, unless the will made other provisions, the heir receiving the family home will either have to contribute his own money, take out a mortgage, or even sell the home to pay his share of the inheritance tax. This would also be the case if the entire estate consisted of just property, such as a house and a car, but no cash or investments. Some of the items would have to be sold or borrowed on in order to pay the inheritance tax. The inheritance tax return will now be processed by local and state divisions where it is reviewed, checked for unreported property, and valuations verified. In Indiana, the state will complete their review and then issue a letter of clearance that the inheritance tax return has been approved. This whole process can take a few weeks or even a few months. Once all the taxes are paid and reports are filed, the estate attorney will release the distributions to the heirs. And this time the money is green, not multicolored Monopoly bills.